Siler City, once known as a big-town destination for Andy Griffith and his TV sidekick Barney Fife, is still known for its chicken trucks and trains and livestock auction house. It’s also got many fast food restaurants, a Wal-Mart, and Tiendas with fabulous fresh Mexican food. 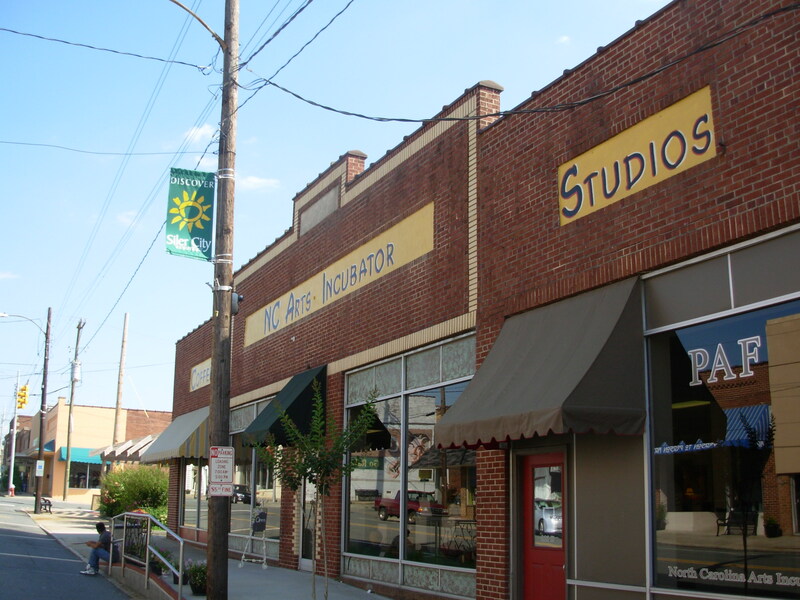 New to the mix, and growing and thriving now for nine years is the North Carolina Arts Incubator, a cluster of galleries, artist studios, a coffee shop and community college pottery program right in the old part of downtown in whistling distance to the train crossing. People are starting to get it that something exciting is happening here. Some of the people who are getting it are writers. 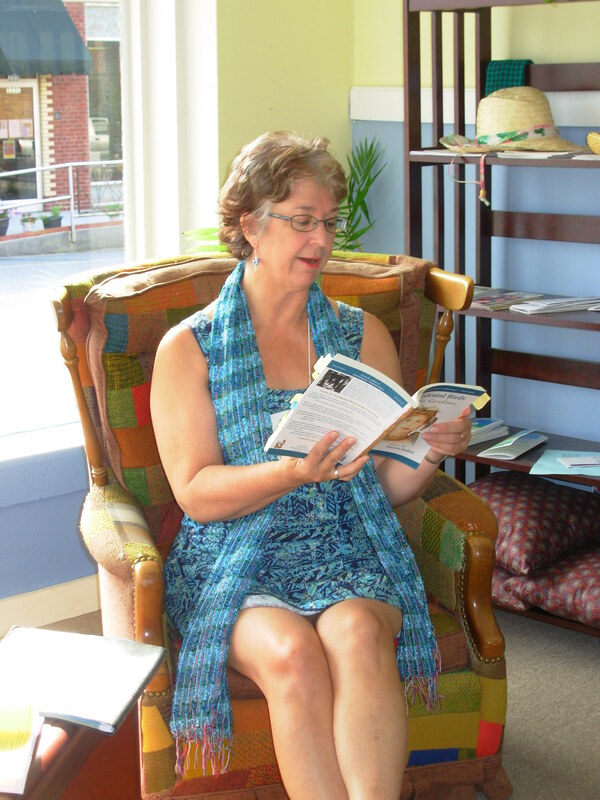 In late summer of 2010, I started teaching writing workshops in the back studio of the Incubator in Siler City. Just today I met a couple who are moving to the area from Singapore. I’m not saying they moved for the Incubator–they hadn’t heard of it before today. But I am saying that one of them signed up for a writing workshop because it sounded good and she wanted to write about foreign travels, and well, this seemed like a cool place to write. It is a cool place to write. Since Monday, writers have been gathering here for free workshops sponsored by the Incubator and funded by a grant from ChathamArts. And in a small back room, with a lamp, a bookshelf full of favorite books, and a laptop, I’ve been cooking up writing exercises, consulting on manuscripts, and having heady conversations about Jack Kerouac and the hitchhiking adventures of fictional and actual people (okay, including my youthful self). What a great way to spend a week! More to come!